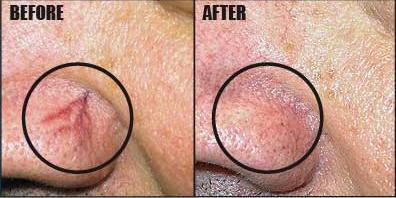 Vascu-Touch is a quick and effective treatment for removal of unsightly facial veins, skin tags, and cherry angiomas. 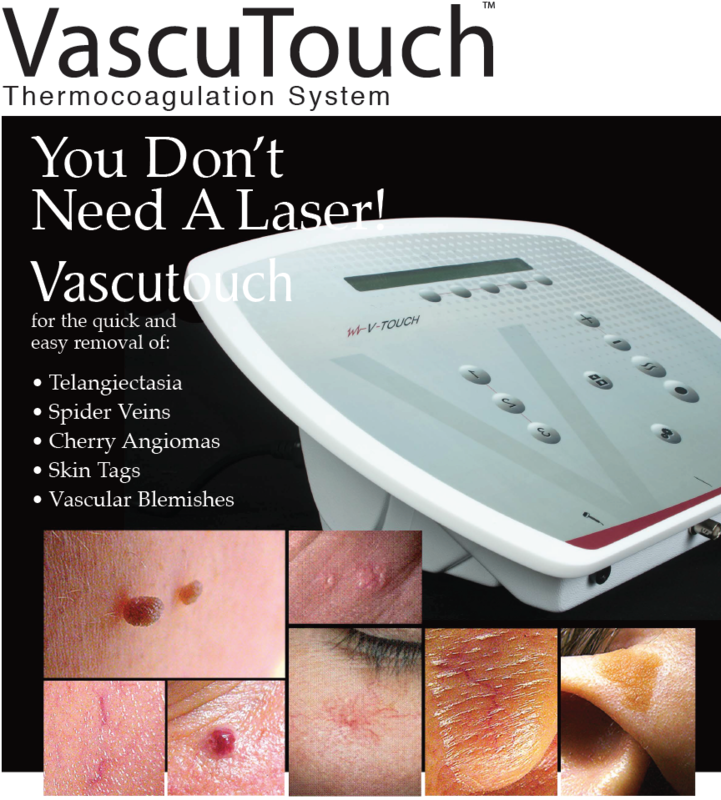 When compared with the laser, Vascu-Touch yields similar results without the bruising and high treatment costs. 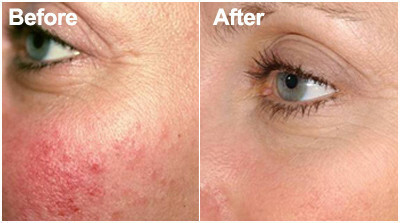 This quick, simple procedure will not cause scarring or hyper pigmentation. Vascu-Touch uses very low levels of high frequency and DC current to electro coagulate the vessel without injuring the surrounding tissue. One to three sessions can successfully correct most conditions, depending on how many broken capillaries or blemishes exist. Vascu-Touch uses a non-invasive sterile probe which is placed on the skins surface above the area to be treated. There is no pressure or penetration of the skin during treatment. Low level current coagulates the vessel and shuts it down. With proper post treatment care, the blood vessel is naturally absorbed within 3-4 weeks, similar to a bruise. There is an element of discomfort for some patients depending on the area being treated.Any discomfort a patient may feel is limited to the brief moments during actual treatment and there are no lasting effects.